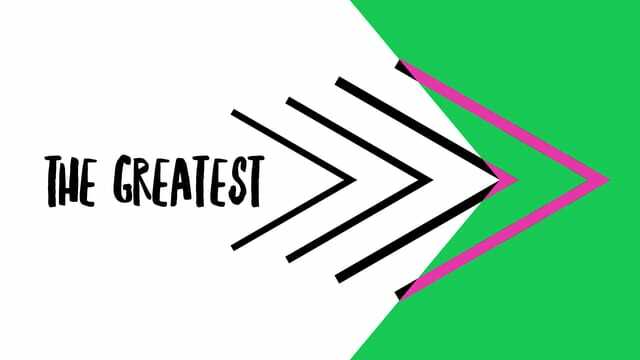 Tim Haring — The Greatest explores what really matters to Jesus – love – and it will answer questions such as: Why does love matter so much? What does it mean to love? How can we grow in our capacity to love? Together, let's learn what it really means to love well. http://theridge.church/startingpoint Starting Point Orientations are next Sunday, April 23, after each service. http://theridge.church/deviate As students mature, experience life change and move into adulthood, the value of experiencing community, having fun, being able to discuss faith, and finding a place to ask questions in a changing culture is important. http://theridge.church/wired As students mature, experience life change and move into adulthood, the value of experiencing community, having fun, being able to discuss faith, and finding a place to ask questions in a changing culture is important. http://theridge.church/nightofworship May 5 at 6:30 pm. Night of Worship is an environment at The Ridge where deeper worship and praise is welcomed and encouraged. It’s a step beyond the weekend service to grow closer to God. The music will be familiar, but there will be more of it, as a part of an extended time of music, singing, prayer and praise! http://theridge.church/mosaic Join other singles after the Night of Worship for a fun night out at the church’s firepit. There will be nachos, a Cinco de Mayo theme, live music, lots of fun, and a chance to win tickets to a WV Black Bears baseball game. The event is free; the fun is priceless! http://theridge.church/webelieve Are you looking for a way to talk to your kids about faith and how they can have a personal relationship with Jesus? We Believe is a 25-minute presentation, where parents and elementary-aged kids (grades K–4) can hear about what it means to place their trust in Jesus Christ. We need to keep the main thing the main thing. …[that Christ might] settle down and abide. Take up His permanent abode, so that you may be a habitation of God. Vincent, M. R. (1887). Word studies in the New Testament (Vol. 3, pp. 383–384). New York: Charles Scribner’s Sons. Wiersbe, W. W. (1996). The Bible exposition commentary (Vol. 2, p. 31). Wheaton, IL: Victor Books.